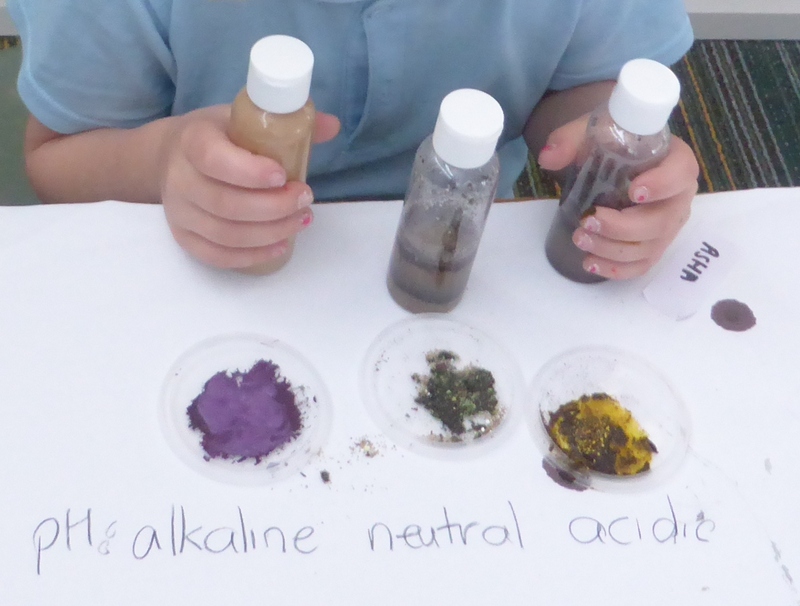 1 for Wimmera schools- physical and chemical characteristics of our soils. These will add to the environmental survey of healthy places that were made in the last session in assessing how healthy their soils are. 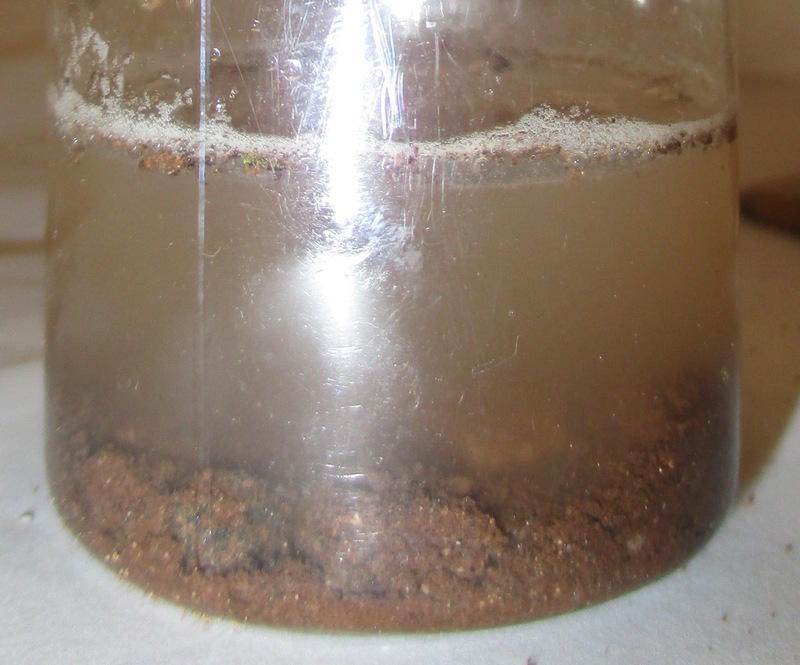 They have also been left with the challenge to get the soil in the Soil Shake mixtures back into the small vials they came from! The children are reporting their findings on their My Soil Story booklets which may be contributed to the global Soil Stories project by OVAM (Belgium). 200 children and their teachers from 8 towns have been involved in these NSWk sessions. 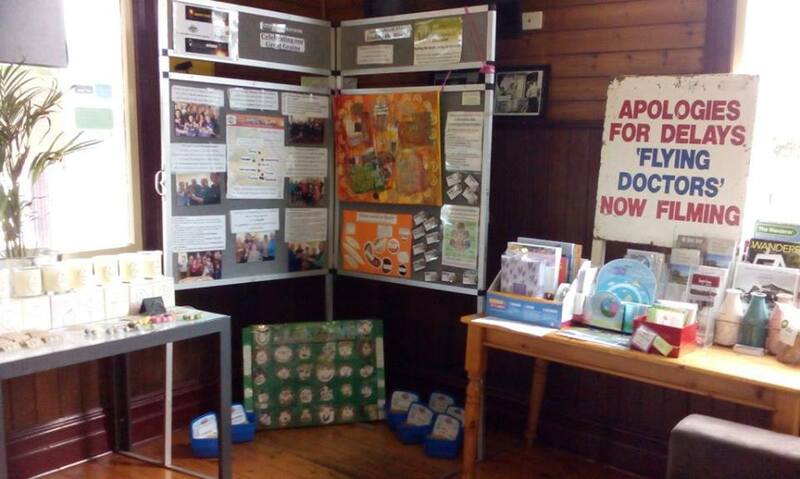 Reports have been provided to schools for their newsletters to further raise community awareness of their local soils. This is the 3rd of a 4-session Wimmera primary schools Soils Education program . 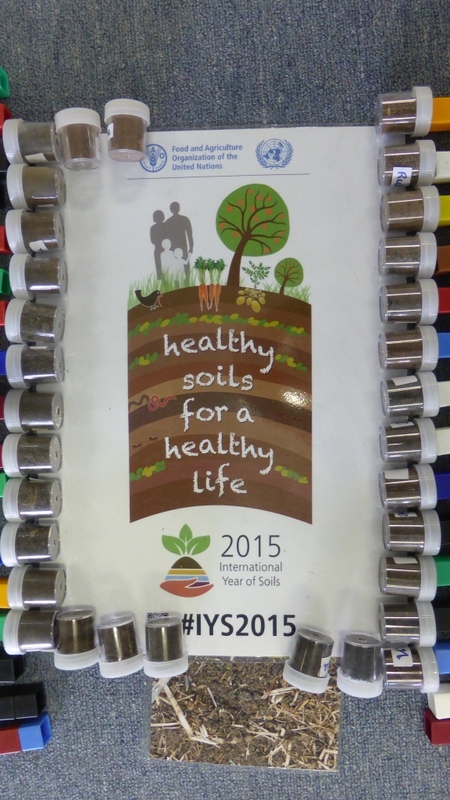 It aims to help children understand and appreciate better the nature of our Wimmera soils in the 2015 International Year of Soil, and the relevance of the IYS theme “Healthy soils for a healthy life” using soils from the children’s homes. The program is an interdisciplinary, science-based incursion progarm. The class time is funded by the Wimmera Catchment Management Authority . The program is created and delivered by Jeanie Clark, enviroed4all(R). 2 On-line Soil Science – Browse Soil Selfies and create a Science Soil Story group to share. Soil has a lot of great science linked to it. What can you find in the Soil Selfies collection? 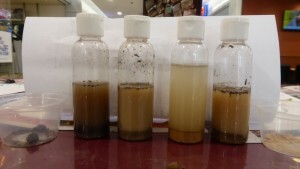 What story do groups of Soil Selifies tell? If you look at a group of Soil Selfies, you may discover some similarities between places among the many differences. Here is one group Aussie Soil Selfies Warracknabeal (12 Mb). 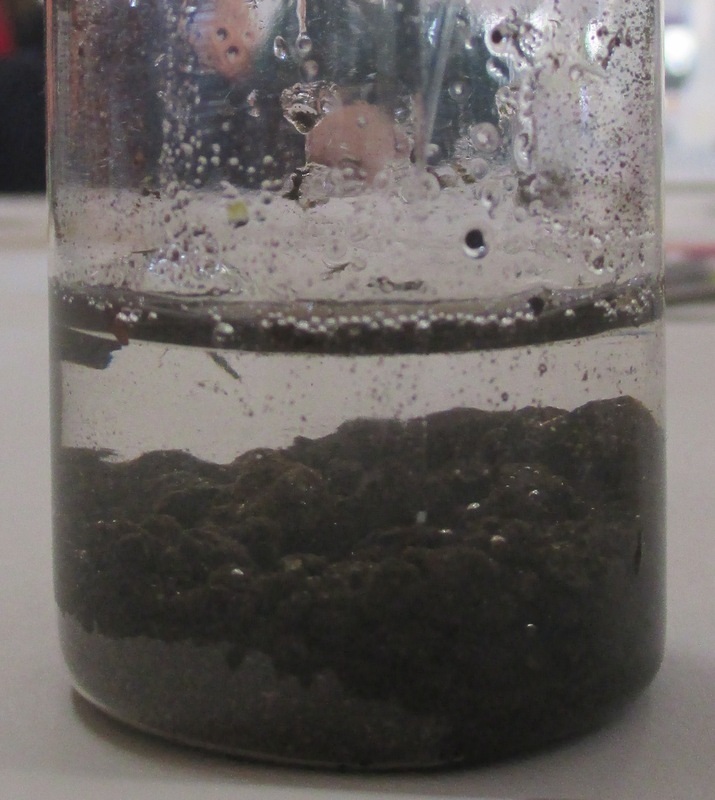 What soil story will you find and what are the sciences involved in them? If you send me your grouping with comments as a pdf, I will load it here for others to discover the science you have found. Please note that the Soil Selfies collection is still growing, so please return to see more. 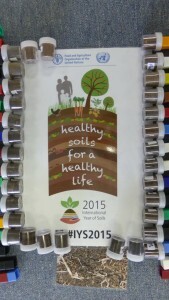 This display at the Horhsam Plaza puts the Soil Selfies into National Science Week in the International Year of Soil 2015. 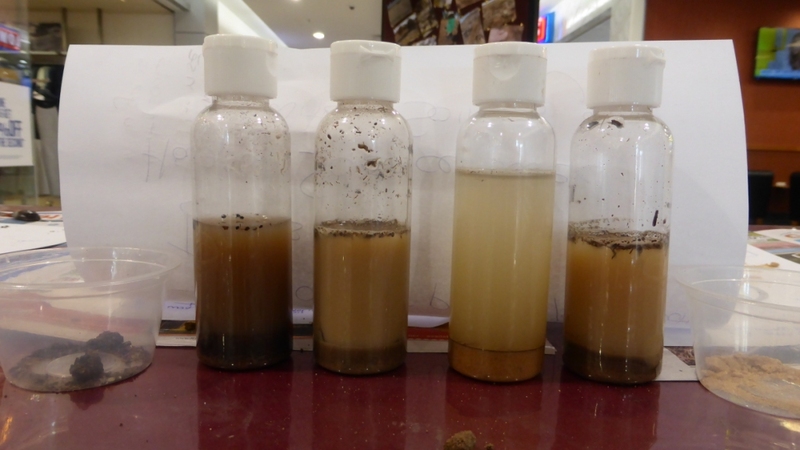 I also provided some soil testing activities in a couple of sessions during the week. This Wimmera-Mallee display complements the grouping of Soil Selfies on-line (above no.1) and the many places sciences are involved in soils. This is at Emma’s Café and Takeaway in Minyip. Here is a major product of our Wimmera- Mallee soil with comments from communities about their value, shapes to help recognise them, and artworks using the different shapes of our grains. Use your senses of sight and touch to snoop in to your soil and consider what more advanced sciences are involved in your care for it to be as healthy as possible. Thank you for being a part of this volunteer project. As a freelance environmental educator, my work in creating this project and this website is unfunded . If you can, please support me … with a donation and/or feedback for how the activities in this website when when you used them. Thank you.